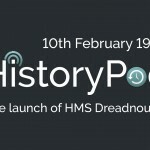 On the 10th February 1906 the British King, Edward VII, launched HMS Dreadnought – a revolutionary new type of battleship that made all other ships obsolete. 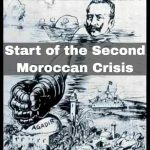 Why was there a Second Moroccan Crisis in 1911? The German gunboat SMS Panther was sent to the Moroccan port of Agadir, sparking the Second Moroccan Crisis. This revision podcast provides an overview of the July Crisis of 1914 that acted as the spark to World War One. 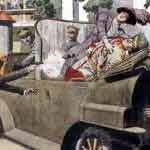 The episode begins with the events of 28th June when Archduke Franz Ferdinand of Austria-Hungary was assassinated by the Black Hand Gang. It then goes on to explore the impact of the assassination on the diplomatic actions of Germany and Austria-Hungary, including the ‘blank cheque’. 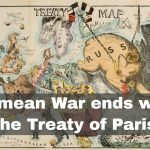 Finally, the podcast describes the actions of Russia, France and Britain as the major nation states of Europe fell in to war. Beginning with the assassination of Archduke Franz Ferdinand of Austria-Hungary, this video explores the 6-week period known as the July Crisis. It explains the concept of Germany’s ‘Blank Cheque’ and how the alliance system caused the nations of Europe to become embroiled in what was now a ‘world’ war. Reference is made to the Schlieffen Plan and how this led to Britain’s declaration of war. Since becoming a teacher, I’ve been disturbed by the number of people who claim that the First World War was caused by a sandwich. Having read a huge amount of sources about the assassination of Archduke Franz Ferdinand, I’ve put together this video that presents a detailed look at the claim that Gavrilo Princip was able to assassinate Archduke Franz Ferdinand and cause the First World War because he went to buy a sandwich from Schiller’s Delicatessen. 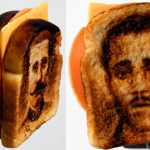 My video was inspired by Mike Dash’s excellent article at http://blogs.smithsonianmag.com/history/2011/09/gavrilo-princips-sandwich/ – it’s well worth ten minutes of your time to read it. 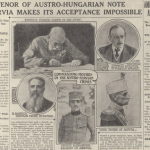 On the 23rd July 1914, Austria-Hungary issued an ultimatum to Serbia specifically designed to be rejected and lead to war between the two countries. 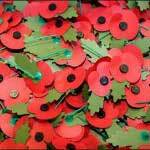 Historiography: who was responsible for the First World War? This is a different type of revision podcast as, rather than covering the details of events, it aims to provide a summary of key historians’ interpretations of them. The podcast tracks the changing historiography of responsibility for the First World War over time. Beginning with the attitude at the time of the Versailles Treaty, the podcast summarises the shift in interpretation through the inter-war period, the effect of World War 2, the 1960s and the Fischer Thesis, and post-Fischer revisionism. Historians whose work is briefly mentioned include G. Lowes Dickinson, Sidney Fay, AJP Taylor, Luigi Albertini, Fritz Fischer, Niall Ferguson and John Keegan. 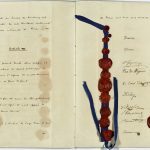 The Treaty of London recognised and guaranteed the independence and neutrality of Belgium. The Crimean War began in October 1853, having been triggered by disagreements between Russia and the Ottoman Empire regarding Russia’s right to protect the Orthodox Christian minority in the Ottoman-controlled Holy Land.